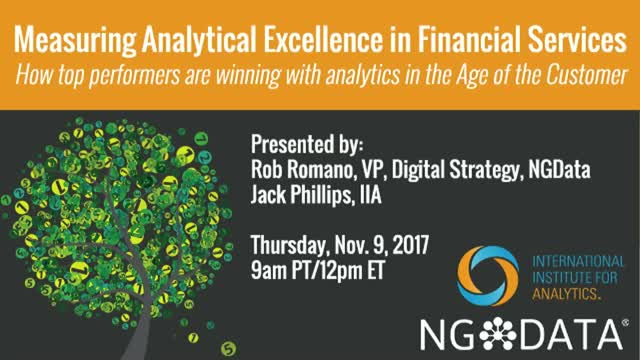 Learn how top performers are winning with analytics in the Age of the Customer. Financial Services companies are among the market leaders when it comes to analytics performance. How does your business rate? Join this webinar to hear how brands stack up in their analytics maturity, where you fit in, and how your institution can measure its performance and improve to stay ahead of the competition. You’ll hear how Belfius Bank was able to put their analytics into action to improve customer profitability with their “mobile-first” strategy and app, and discover the technologies needed to be a customer experience leader in the Age of the Customer.